Nesrine Khodr, Extended Sea, 2017. Video still. Image courtesy of the artist. 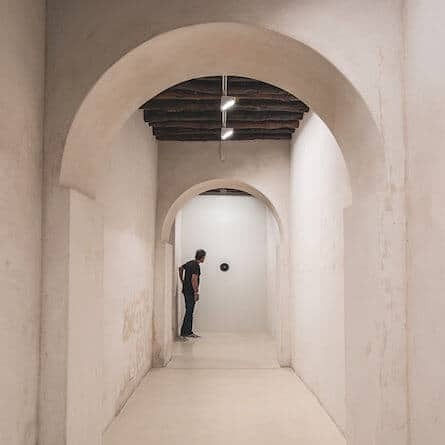 In this year’s Sharjah Biennial, commissioned by Hoor Al Qasimi, President and Director of Sharjah Art Foundation and curated by Christine Tohme, the ambition is all the more wide-ranging. The curatorial framework is departing from the concept of ‘tamawuj,’ the Arabic word describing the movement of waves, fluctuation and undulating appearance.As we can read in the curatorial statement in the accompanying guide book, “Tamawuj proposes a structure of care and cultivation as well as a mode of working by processes of contamination, where spillage and the introduction of new elements result in the formation of compounds, altering the original balance into a series of interventions … We tried to think of Tamawuj not only as a cyclical repetition of the same gesture, but as a reciprocal act of exchange, where various nodes of the biennial both draw from and flow into one another.” These considerations have then effected the structure of the biennial where the extensive programme includes not only the central event between March and June 2017 in Sharjah, but exhibitions in Beirut in October 2017, off-site projects in Dakar, Istanbul, Ramallah and Beirut, as well as year-long educational, research and publication platforms. Hence the investigation of the elements that the curator identified, and with which and through which the biennial is aiming to analyse the interactions – water, crops, earth and the culinary – are truly expanding the original venue, and connecting the distant cities. James Webb, All that is unknown, 2016. Audio, infinite. 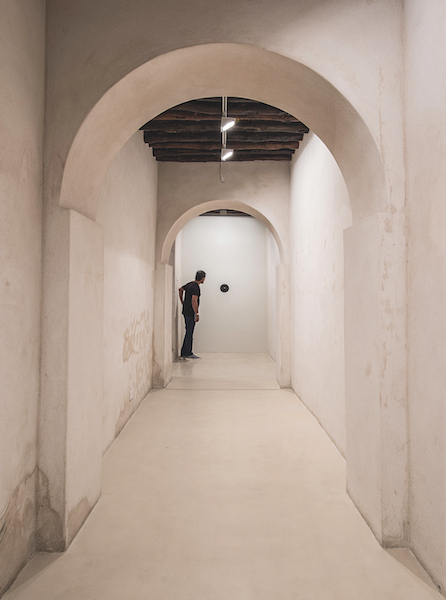 Installation view, Sharjah Biennial 13, 2017. Courtesy of Blank Projects, Cape Town and Galerie Imane Fares, Paris and the artist. Image courtesy of Sharjah Art Foundation.